My family life up until this point has provided med with pretty limited experience with babies. The most recent baby in my immediate family was me, and my only sibling is a brother two years older than me. So I'm the baby, and thus my only source of familial experience with infants. Fortunately, our friends have been more than obliging on the baby front, and so Nick and I have been able to live and learn vicariously through them. One of our favourite sources of baby and little boy wisdom and amusement has been our friends Melissa and Paul, and their three year-old son Caleb. Caleb, who at age two, once asked his mother why it was dark in outer space. Caleb, who takes a keen interest in politics and was at one point convinced Barack Obama was a Hawaiian man in his ward. Caleb, who was bitterly disappointed to discover that his brand new cousin neither walked, talked or possessed the ability to like diggers - yet. Caleb, who gave me the first inclinations that having a son had all the promises and potential to be one of life's most hilarious and rewarding adventures yet. In the following, Melissa proves me right. On Having a Son, by Melissa. I have been the mother of a son for three years, nine months, and--as of this writing--six days. It seems both longer and shorter than that, but one thing is absolutely true regardless of which perspective--long or short--I take. And that is this: all 31 years of my life have been building up to this. To him. To our family. That may seem like a dramatic thing to say, and I am currently 40,000 feet in the air over middle America lurching around in moderate turbulence on my way back home to him after a 48-hour jaunt in Ohio. So it could be that my perspective right this minute is just a little more hysterical than usual. In my clearest moments, though, I believe that it's true: I've waited for this for three decades. I never expected to be partners in crime with a skinny three-year-old, but I'm pretty sure that's exactly how my little man sees our life together. I'm the Sally to his Lightning, the Wendy to his Bob, the Frog to his Toad, the pink strawberry topping (something in our world has to be pink) to his mini-wheats. Recently, he was describing to a phlebotomist the mysteries of which letters comprise his name, and he got stuck after "c" and "b." He lowered his voice, bowed his head in my direction, and whispered conspiratorially, "And what ovver letters are dair, Mama?" 'Cause he knew I had his back with the alphabet. That's one of my duties in our relationship. His duties include things like putting away the silverware (minus the knives) when the dishwasher's clean, coming up with spontaneous songs about construction and emergency vehicles, and also jumping. If there's jumping to be done, Caleb's your man--unless that jumping is in the house, because Caleb jumping in the house (also known as preschooler parkour) has been outlawed and results in time-outs. And time-outs inevitably result in Caleb saying to me in a hurt tone, "But Mama, I like you." Which, I think, is to say that partners don't give partners time-outs. I could go on. (Blessedly, I will not.) It's amazing, though, how natural all of the changes he's brought into my life are--which I guess is why becoming the mother of a son feels like a culmination of everything that's gone before. I like it. A whole, whole lot. My guess is that Tamsin and Mr. Nick will too. * All of these delightful bits of information (and so much more!) are to be found on Melissa's blog, which is always read aloud at our house and frequently laughed at so hard we have to take breaks. I can imagine how excited your family is about the new baby! We are excited too...are you getting worried or nervous? BTW I love that you have blogged off of other blogs...it gives good variety. Allow me to clarify that neither Caleb nor I have ever committed an actual crime, together or separately. Just so you know. 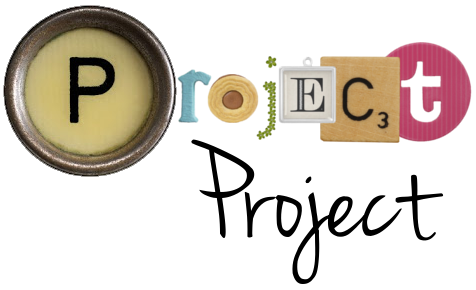 Project Baby and Guest Blogger Week: Stepper!